The 36-year-old resident of St. John’s has arrhythmogenic right ventricular cardiomyopathy (ARVC), a rare heart disorder prevalent in Newfoundland and Labrador whose first and only symptom is often a fatal heart attack. Thanks to genome sequencing that identified the gene responsible for ARVC, Mr. Pelley was able to learn through a blood test that he has the disorder. Today, he walks around with a defibrillator implanted under the skin on the left side of his chest. Should his heart suddenly falter or stop, the defibrillator will send an electrical pulse to start it beating again. The future of medicine has always seemed out there, as fantastical as Star Trek’s fictional “tricorders.” But in the realm of diagnostics, cutting-edge innovation is rapidly drawing this future within arm’s reach of today’s patients, professionals and the healthcare system. In a triumph of science and high-performance computing, new technologies now make it possible for doctors to diagnose conditions with unprecedented accuracy, identify the probability of developing a disease based on genetic analysis, and tap into the wisdom of experts around the world. As well as being more effective, treatment will become more efficient, says David Agus, a professor of medicine and engineering at the University of Southern California. According to Dr. Agus, who is also a bestselling author on the future of health, personalized treatment and preventive strategies will lessen the financial burden on the system. Some diagnostic innovators have already veered into Star Trek territory. Kitchener-based Cloud DX Inc., for instance, has developed VITALITI, a wearable device that uses biosensors to track vital signs and identify many medical conditions, including seven respiratory diseases that it can detect just by analyzing a patient’s cough. 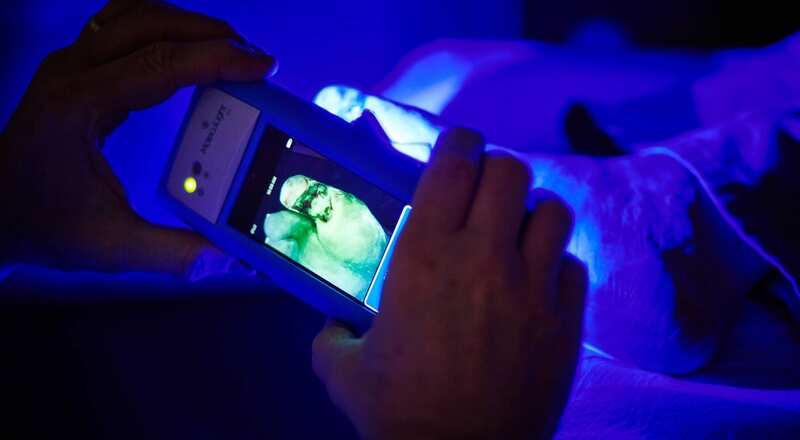 MolecuLight i:X, another handheld device made in Canada, detects the presence of bacteria in wounds — information that’s critical for patients with chronic wounds, and those who may not show symptoms of infection until it’s too late. MolecuLight i:X is in good company. Toronto is home to 16 of the world’s top 25 makers of medical devices — such as Johnson & Johnson, Medtronic and GE Healthcare — and more than half of the country’s estimated 1,100 medical device companies. These Toronto-based innovators are developing products that are making a difference around the world. For example, last year Profound Medical Corp. sold its MRI-guided prostate care device to healthcare organizations in Spain and Germany. Another Toronto company, BresoTec Inc., got the go-ahead last February to market its sleep apnea diagnosis aid device, BresoDx, in Europe, and began selling the device in the U.K. last fall. Many, if not most, of today’s disruptive diagnostic technologies rely on high-powered computing. In fact, complex tests such as exome sequencing — which involves analyzing as many as 20,000 genes all at once — would be near impossible to undertake without major computing muscle. 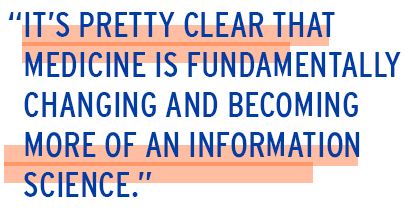 The idea of greater access to information is certainly taking hold in life sciences. McGill University in Montreal recently made all of its published research and data freely available to other institutions while, in the rare disorders community, an online repository called PhenomeCentral now connects clinicians and scientists by matching their patients’ profiles with similar cases. 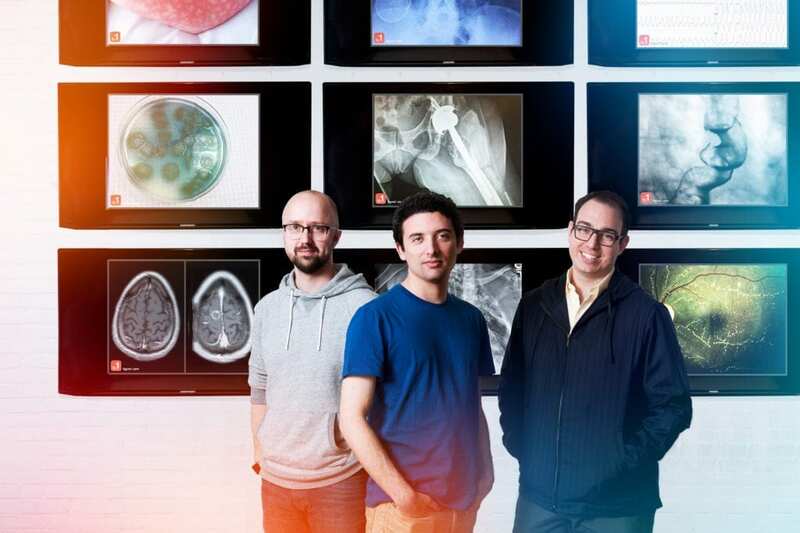 At Toronto-based Figure 1 Inc., knowledge sharing takes place on a Pinterest-like platform that allows doctors to post (with their patients’ permission) images and notes on cases they can’t quite figure out. 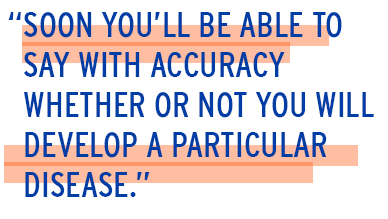 Diagnoses are, in essence, crowdsourced among Figure 1’s more than one million registered users — all doctors, many of whom are experts in their field. Chad Pelley won’t argue. Walking around St. John’s, he says, “it’s disturbing to think what could happen,” if advanced diagnostics had not identified his disease, prompting him to get a defibrillator that now constantly protects his heart.